Have you been avoiding egg yolks because you are worried about your cholesterol count? Well the truth is, the cholesterol in egg yolks is so poorly absorbed that even eating it everyday won't raise levels of the artery-clogging blood fats. What's more? Yolks are so rich in lutein and zeaxanthin, powerful antioxidants that soak into delicate eye cells, shielding them from UV light. Yolks are yummy and healthy so include them in your diet, your eyes will thank you later on. Because according to experts, consuming five yolks a week could help slow the growth of cataracts and cut the risk of macular degeneration by 42 percent or more. Thanks so much for this info. I had no idea they had these benefits. I've been restricting my eating eggs so this is great news. Takot na ko sa cholesterol kaya super avoid ko ang yolks. Oks lang pala. TY again for the info. Btw, kasama ka pa rin sa tag ko, Liz. he he.. It's my understanding that an egg in its entirety is a totally healthy food. The white and the yolk balance each other. Notice how things which were "bad" are now no longer bad? Like avocados. We need some fats in our diet in order to remain healthy. Thanks for the info. But I don't like eggs, lol. Health care is delivered by practitioners in medicine, chiropractic, dentistry, nursing, pharmacy, allied health, and other care providers. It refers to the work done in providing primary care, secondary care and tertiary care, as well as in public health. Thanks. As a food, yolks are a major source of vitamins and minerals. They contain all of the egg's fat and cholesterol, and about one fifth of the protein. 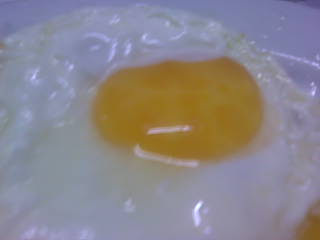 If left intact while cooking fried eggs, the yellow yolk surrounded by a flat blob of whites creates the distinctive sunny-side up form of the food. Mixing the two components together before frying results in the pale yellow form found in omelettes and scrambled eggs. Thanks.